How to Open and Activate Your Third Eye? “The seat of the soul”. 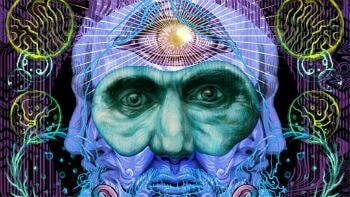 Ancient civilizations spoke of the third eye as the seat of the soul. we need to be ready to receive new information. Because when we speak of changing an old mind into a new mind, we have to start deleting the programs that no longer serve us and reprogram the subconscious mind. You see, there are certain levels (types) of consciousness. Robot consciousness is typical for the individual who’s life passes on autopilot. What can describe a person who is a walking zombie. You wake up, you eat, go to work, you come home. A never ending cycle. Like a merry-go-round and with no possibility to get off. We live just to go along and not put any thoughts about the deeper meaning of our existence. 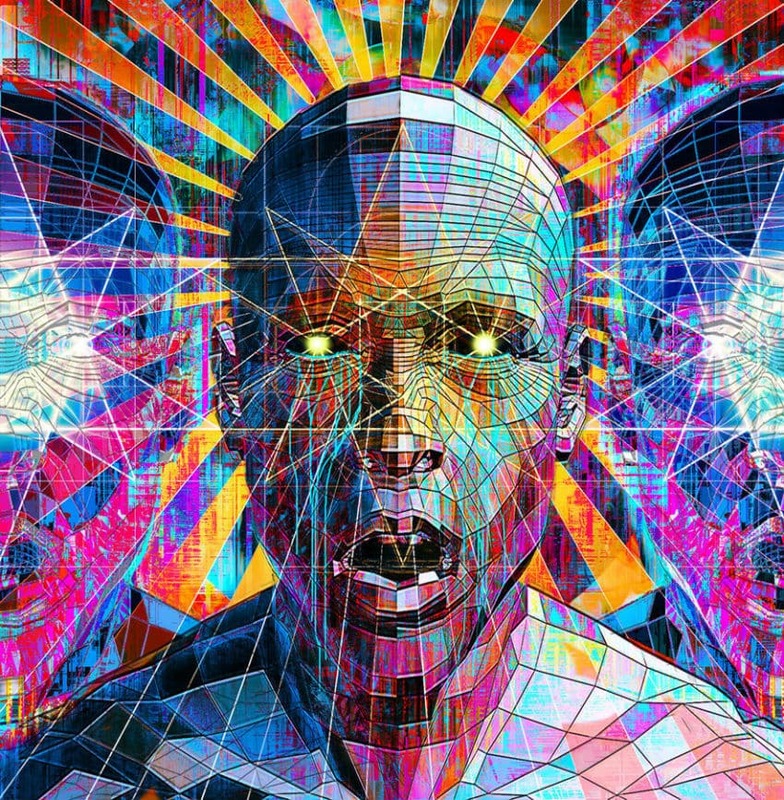 Being in a robot consciousness is not the human’s organic state of being. It’s a condition inherited presumably from childhood which feels like a burden on your shoulders that you as a person don’t know how to lift off. By holding your focus only on the bad things happening, you miss the experience of abundance all around in life. As we rise and go to the next level of consciousness is the craftsman type of consciousness. We’re all born as artists – children love to run up and down and play, sing. However, being an artist is a great gift but at the same time, many of us, we’re unaware of how to use these energies. That’s why a lot of artists suffer from depression. The next degree on the consciousness scale is the alchemist. The secret of alchemy is making the best out of the worst and not allowing external events to govern our inner being. The alchemist is the one who transforms the energy. They are capable of creating and turning the negative in this world into positive and cherishing it. In essence, what does that mean is that the right hemisphere of the brain is predominant in one’s being. Because logic corresponds to the left brain and is used strictly by the “Robot Consciousness” – the alchemist manages to utilize also the abilities of the right side of the brain. The fourth level of consciousness is the wizard’s. The wizard is the individual fusing both hemispheres of the brain actively – left and right. That’s a total completion of consciousness. And this is in correlation with the third eye. They have the vision, the power to see things before they occur, to read other people energy, to see and feel the auras of others around them, and to transcend the duality of the material world. Raising your frequency is a way to expand your consciousness and facilitate a third eye activation. What helps unveil a situation surrounded by darkness with a no sign of what’s the right answer is including more natural food to uplift your vibration. Our environment shapes who we are. Place yourself in an environment stimulating your energy. The more you begin to dive deeper into the ocean of life, the more you realize that it has no end. How to Activate Your Third Eye? Meditation is an excellent way to do it. Throughout the day our brains are in Beta brain wave state. As we go to sleep, we relax, the working rhythm of the brain slows down, changing from Beta to Alpha and eventually Theta. Meditation allows a swift transition from Beta to Alpha brainwaves. 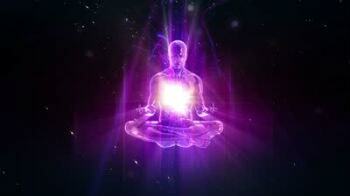 Meditation enables us to be in Alpha and Theta thus feeling more relaxed and opened to divine consciousness. Below I’ve linked to an excellent program that uses short meditation audios to help you quickly activate your body’s “Relaxation Response”. The program includes great guided meditation audio tracks, which take the cognitive effort out of your meditation. I highly recommend you check it out. Here’s another option: Set yourself in a comfortable position. A vital part of this process now is to set the right intention to help activate your third eye. Make 3 fasts deep breaths. Once done, start practicing a pattern used for the meditation is 478. You start off by inhaling for 4 long seconds. Then hold the breath in you for another 7 seconds. And when you are all done exhale it in the slowest possible 8 seconds. Visualization combined with meditation can have a profound effect and accelerate the journey. 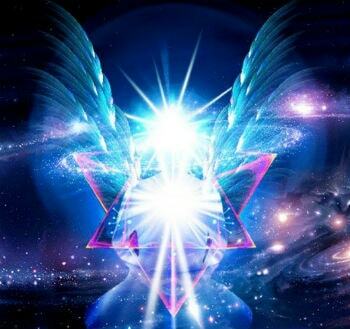 While meditating, you can visualize there is a gate in your chest that opens up and through which bright and clear light fluids in traveling around your body. The light wraps around the heart chakra making it alive and then goes up in your body to meet your third eye. Give your images sensations, a feeling of vividness. An essential requisite is to believe in the process, to know that what you see is genuinely happening. Don’t forget to practice this meditative technique for third eye activation daily to help you achieve the desired results. Also, let go of grudges if you have it in yourself. Grudges stack negative energy in your body. The key is not to run away from negative emotions but to transform them by changing consciously the way we react to situations in life. Have a Strong Connection with Our Primordial Source. By being seriously grounded in connection with our primordial Source, you set yourself to live a conscious, spiritually abundant life, experiencing higher states of consciousness. The third eye is a way to strengthen our bond with the spiritual world and see through the lies which the material world can display the mind. What Can Be Seen Through the Third Eye? What Actually Occurs When the Third Eye is Activated? 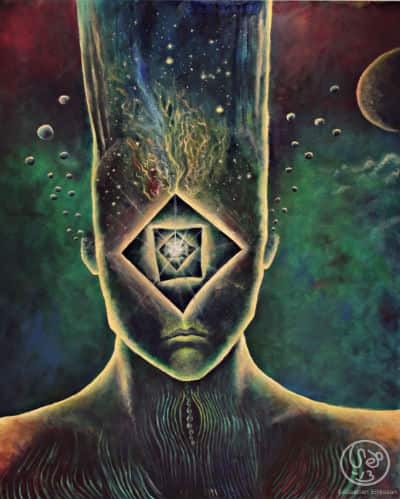 1) When I focus on my 3rd eye or pineal gland or however you call it, I feel 3 activities going on in my head, between my eyes, at the top of my head (where the crown chakra is located) and at the back of my head (like behind my throat but just a little bit higher/and the beginning of head). On all three parts I can feel tension and that something is “flowing” on those 3 points. What is happening ? What should I expect to happen? 2) When do I know that I’m ready to open my 3rd eye OR when do I know that it is about to open/is open already? 3) Lately I could catch thoughts of my best friend and he could catch mine as well, not every single thought but particular thoughts on particular moments. Happened 2 or 3 times already. What’s going on ? 1) In meditation one should not expect anything. Expectations are thoughts of the future and meditation requires you to stay present. Whatever you feel and experience is personal and there is no right or wrong. When you meditate with a wholesome intention, you guide your experience to become wholesome as well. So before you start meditating check the state of your mind and speak out an intention to focus on. 3) That’s wonderful! There seems to be synchronicity between your minds that you can both consciously tap into. We are all connected and together with all humans we form one super consciousness. We are no separate individuals, it may appear like that in this three dimension reality we live in, but in fact we are part of something bigger.